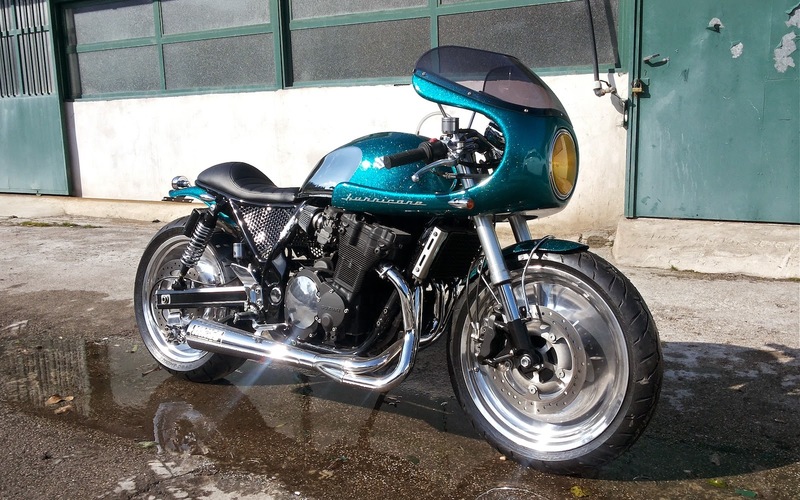 Here is a short list of (subjectively) the nicest Suzuki GSX Inazuma builds. 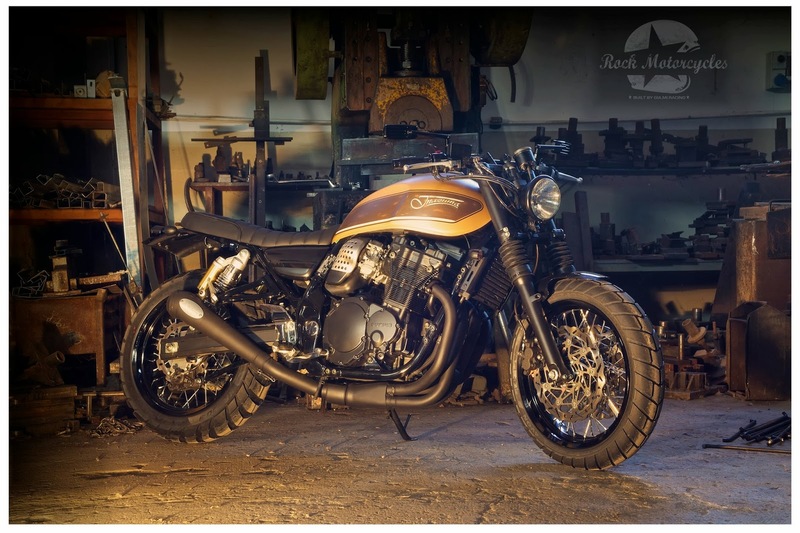 This list is quite personal – as my first build was an Inazuma 1200. 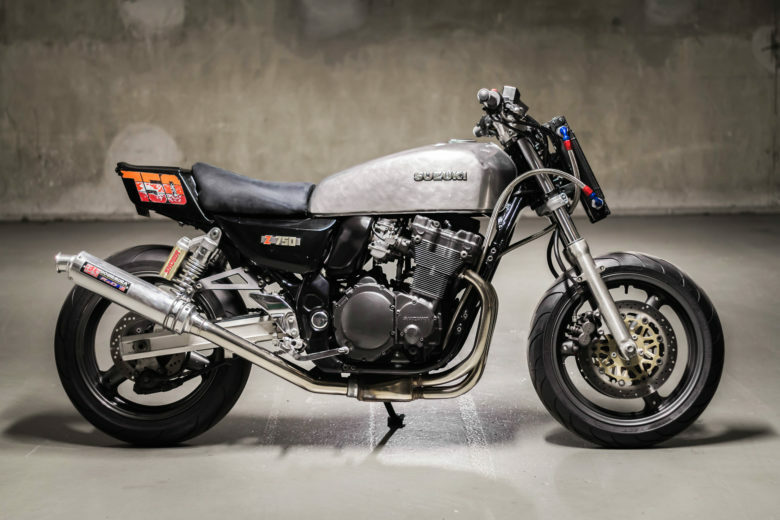 I loved this bike – there is something about these oil-cooled Suzuki 1100/1200 engines. Stated many times before – I believe that this is a very underestimated modern classic. 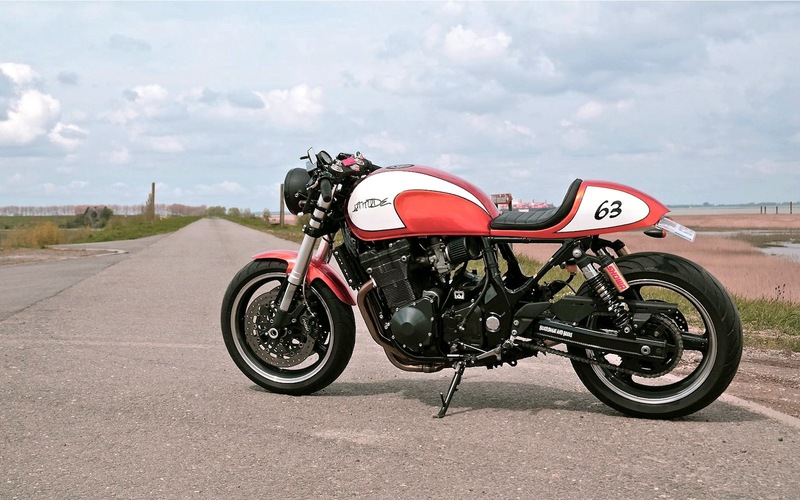 The list below includes five builds based on Inazuma (GSX 750 or 1200). But only these that keep the original tank in place 🙂 Since it’s so good looking. And it’s not a ranking – as I couldn’t decide which one should win. Just enjoy the images and click the sources to see more. This one is quite special. It’s a yard build. I’ve met Marc online as we were working on our GSX’s at the same time a few years back. We even chatted about those CV carbs that hate to even swap the stock filter in an airbox. I know that this 750 after 1 season was upgraded to 1200. The mods are quite standard for Suzuki – GSX-R upside down forks. It’s simply amazing. 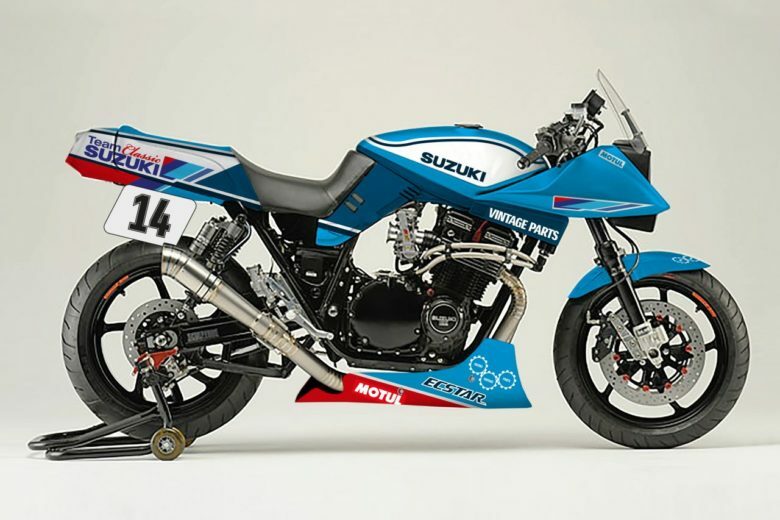 Suzuki sticks to steering head sizes among many generations and types of bikes. It’s so cool when You decide to make a swap. It’s almost “plug and play”. 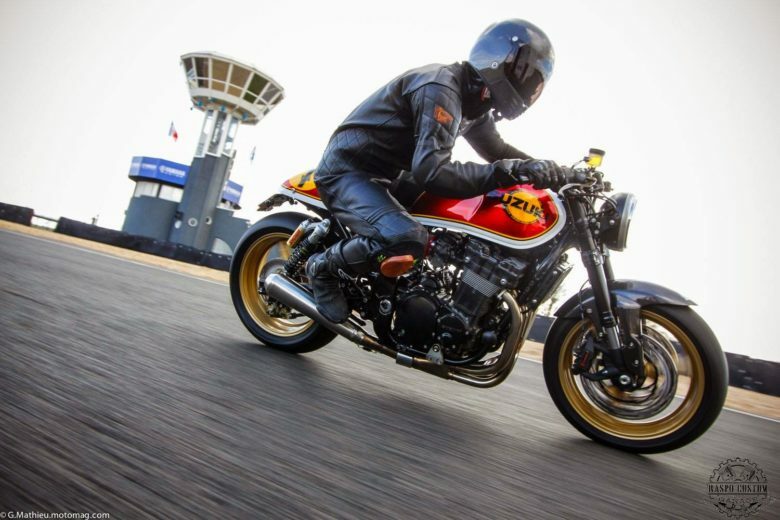 My 1982 Katana without any problem accommodated 1992 GSX-R front. 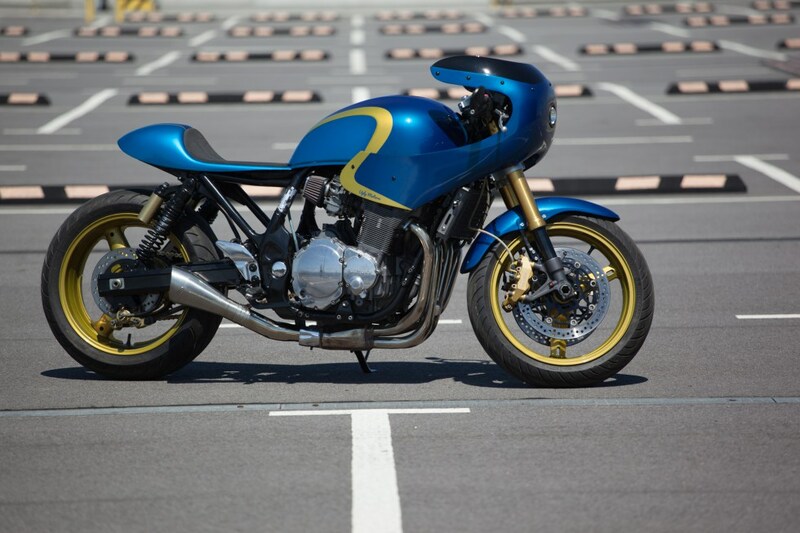 And the same story with carbs – the spacing is the same from 1970s air cooled to oil cooled bikes reaching past 2000s. And it stands out from the others. This one is controversial. I don’t know if I’m convinced by the profile line. The seat and the rear fender. And this green colour. But I also really appreciate the “bling bling stance” of the bike. Polished elements + these wheels. Not my style, but built with passion and an idea that’s out of the box. I remember this build. 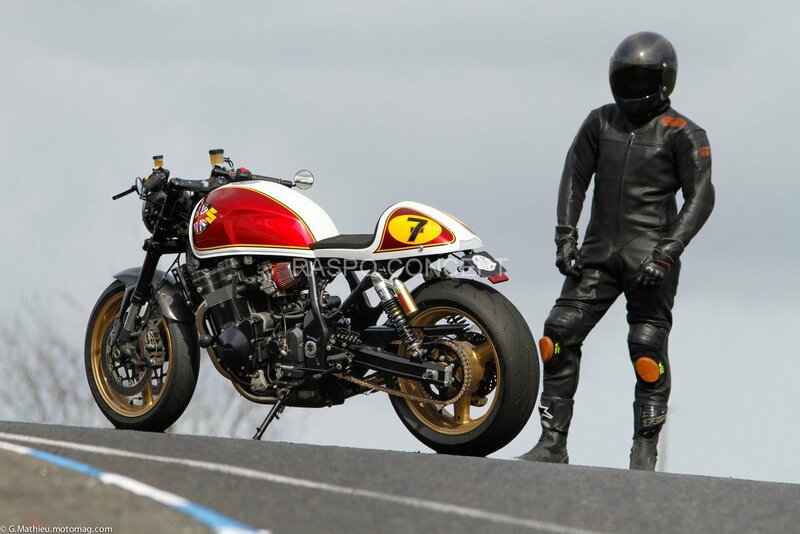 It’s the only non-cafe racer project on this list. Does it work to make a scrambler out of a quite big R4 engine? I don’t know. It’s probably better to have something lighter to pull out of mud 🙂 But they did it, and it looks unique. 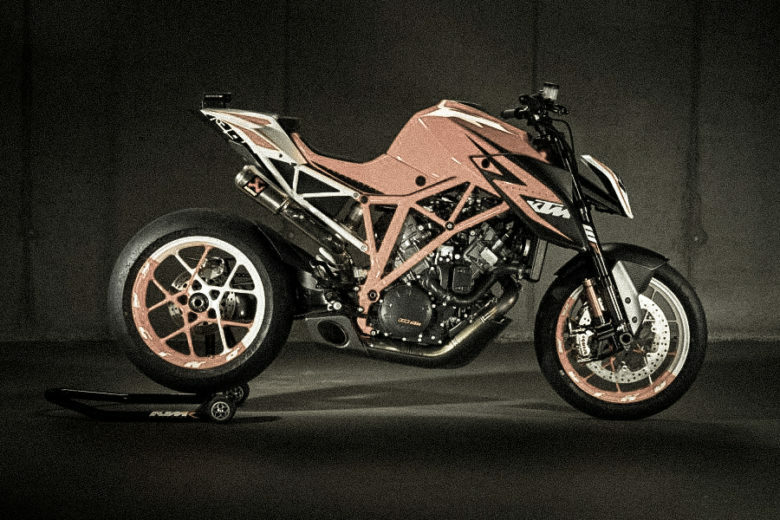 They didn’t change much – the suspension and airbox are in place. 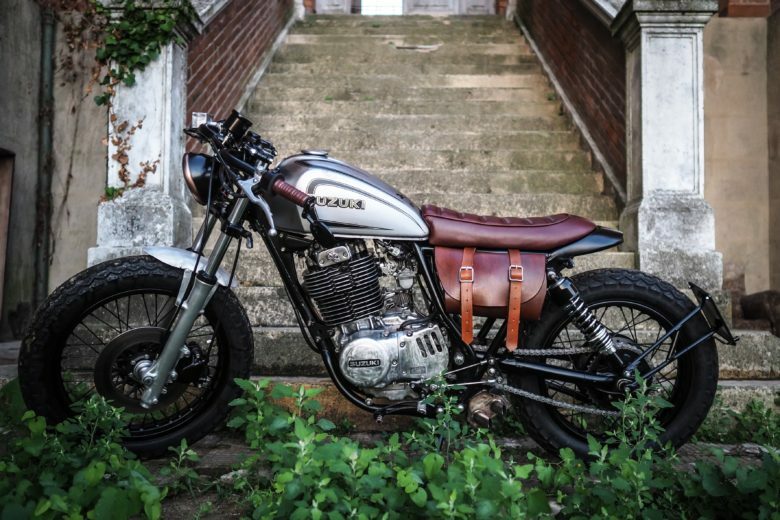 The unique part is from the matt paint and minor accessory changes (small headlamp, custom seat, all-terrain tires, modified airbox side covers… Maybe it’s not as impressive as the builds before – but these minor changes kind of work together. This one is probably much similar to the yard build by Marc listed before. But it’s worth to mention it since the builder is Raspo Concept (from France). And they specialize in these oil-cooled Suzuki bikes. So it’s worth to check out their website for other impressive builds (including multiple Inazumas). This one looks cool. The mods include GSX-R forks and complete motor rebuild. More photos at the source.